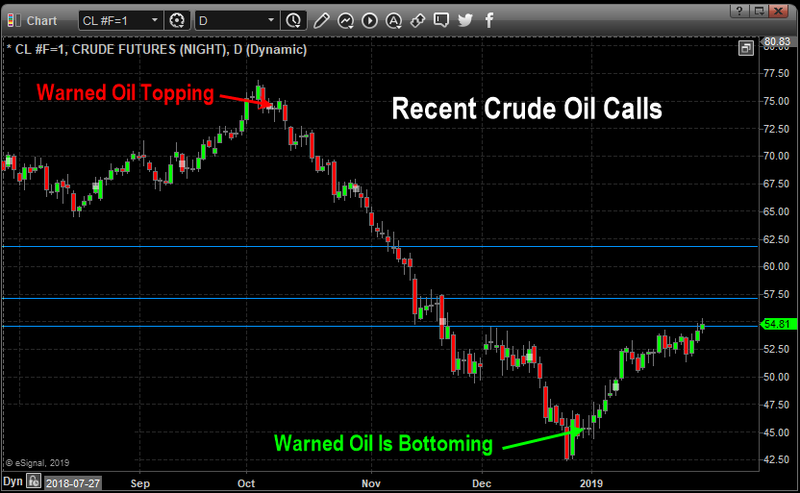 Learning From Our SP500, Gold, and Oil Research and Profit - Technical Traders Ltd. - Investment Strategies, Analysis & Intelligence for Seasoned Investors. Over the past 4~5 months, our research team has authored numerous articles and research posts attempting to help traders and investors understand the future market moves. As today is the last day of January 2019, we thought we would highlight some of our research to help you better understand exactly how our unique skills and tools can assist you. Remember, at the time of the first post, September 17, 2018, the markets were still about 2~3 weeks away from setting up a major top. There wasn't a single analysis, except our team, that had the foresight and knowledge to make the predictions we did on that day. We still get comments from our members asking us how we did it. Take a minute to read through this detailed history or our research posts to learn why Technical Traders Ltd. is continuing to be one of the best informative forward research and trading solutions you can find anywhere. We believe our team and proprietary price modeling tools are superior to many others out there and our record stands for itself. 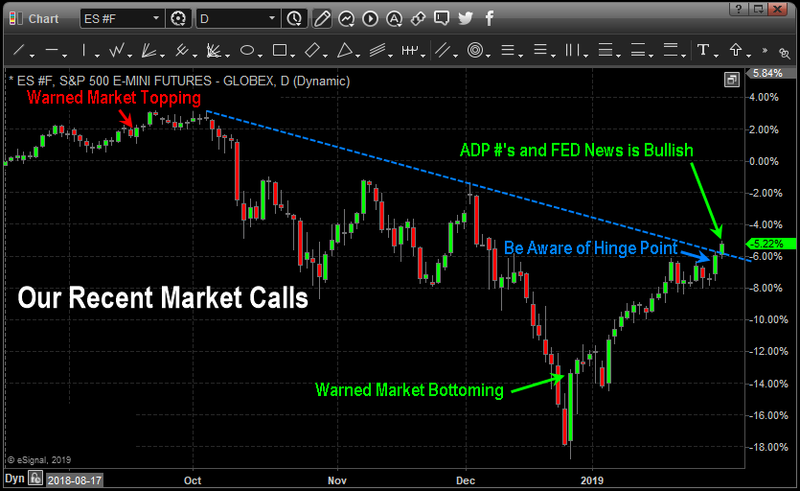 We are not perfect, but very few others can call the markets future 5+ months in advance and pretty much “nail it”. We are currently revamping our Wealth Trade Alert Newsletter members only area to provide our live technical charts and tools so they update throughout the day with our signals, morning index day trades with live chatroom, SP500 index momentum and swing trades, and our special MRM “Momentum Reversal Method” for small and mid-cap stocks. Keep in mind, these new and exciting new features are being created and we hope to move to the new member's area and format over the next few weeks. We help make big trend trading simple for investors and traders to find success and execute better trades in 2019. I just want to tell you how much I appreciate your no nonsense. I’ve read other advisors who hedge their bets with so many caveats that you could never actually put on a trade. So far, you have been crystal clear with your analysis and, even better, it has been correct! I really appreciate how hard you are working for us members… and how we’ve been able to make money recently when I might have been panicking without you. I’m learning a lot from you. Thanks. 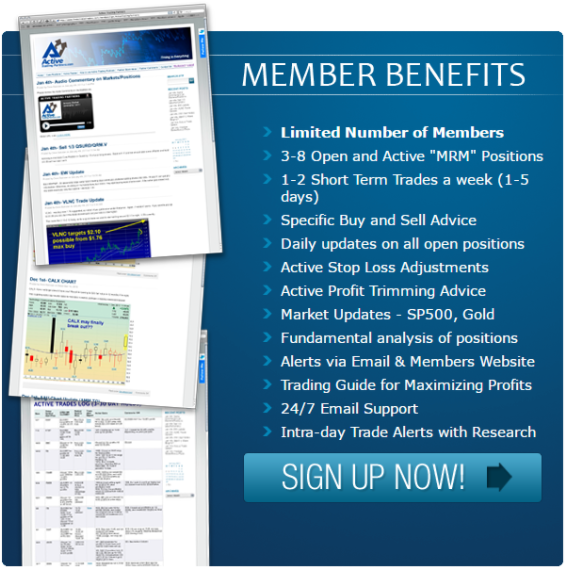 We look forward to seeing you in our member's area to experience our newest tools for traders/members. 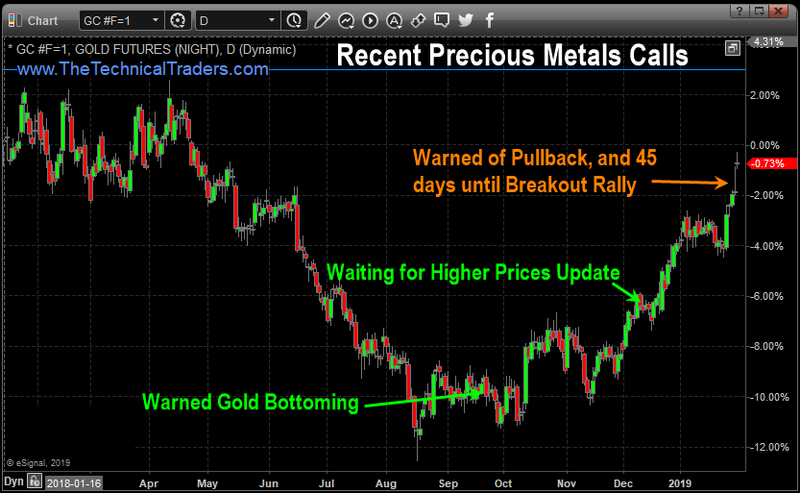 SUBSCRIBE TO OUR WEALTH TRADE ALERT NEWSLETTER RIGHT NOW!